Gangtok, Feb 8 (UNI) Sikkim Sangram Parishad (SSP) President Ms Dil Kumari Bhandari has refused to accept Darjeeling MP seat. Darjeeling unit of Indian Democratic Republican Front had offered Darjeeling MP seat to her. Sanjay Thakuri President North East Zone had requested her on February 05. ''I have turned down the proposal. I am a Sikkim Subject. 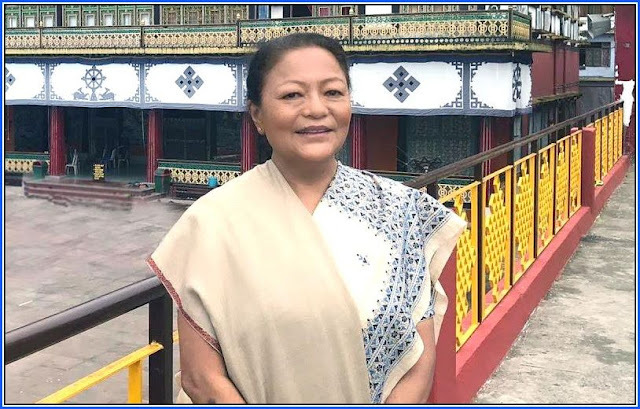 So, I will not be contesting from Darjeeling,'' said Dil Kumari Bhandari, former Lok Sabha MP from Sikkim.